Kartell K-Vit Pure Modern Freestanding Bath - Only £619.99! In stock now for just £619.99 including VAT! Hurry while stocks last! The Pure Modern Freestanding Bath from Kartell K-Vit has ultra thin edges and a beautiful, sleek shape which make it an eye-catching centrepiece for any bathroom. It has comfortingly high sides and a smooth, seamless finish to provide the most comfortable, relaxing and soothing soak possible. 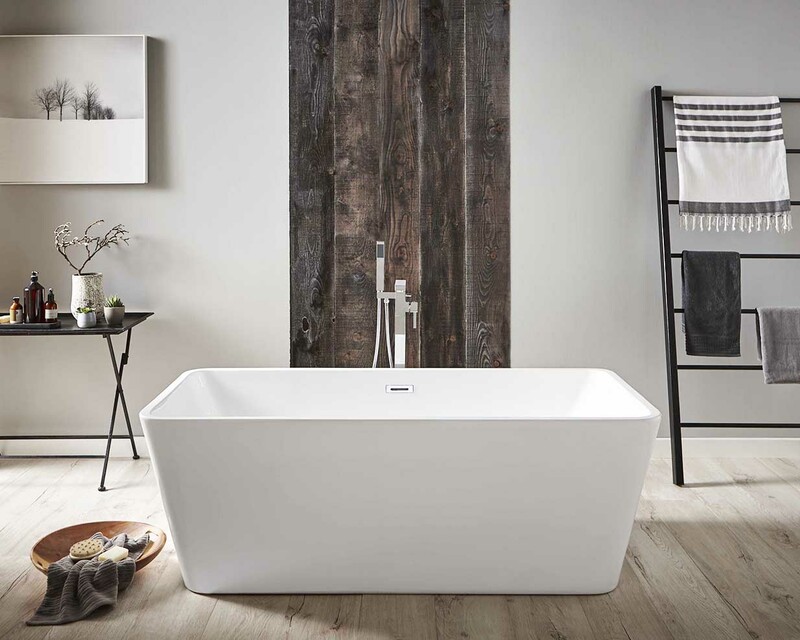 With a generous water capacity and excellent heat retention, the Pure Freestanding Bath is the perfect place to unwind. Part of the new expanded range of freestanding baths from VIP Bathrooms, the Pure Freestanding Bath is already very popular with our customers and is selling fast - order now to avoid disappointment!